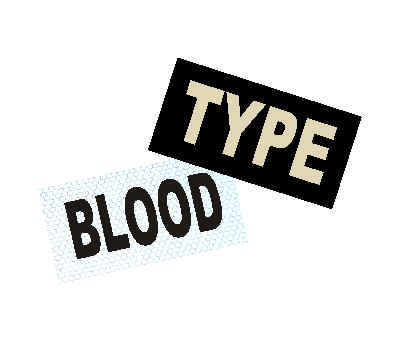 BLOOD TYPE AND ALLERGY ALERT PATCHES 2" X 1"
Pricing is for the total number of patches ordered with the same color combination. VINYL ON MAGIC BLACK 2"x1"
You can select any combination of background and color, for your patches. Examples above are only a guide. METALLIC VINYL ON MAGIC BLACK 2"x1"
Pricing is for metallic silver or gold on Magic Black. 3.5"X2" with Velcro backing. BLACK VINYL ON RAW SOLAS 3.5"x2"
Pricing is for any one color on raw SOLAS 3.5"X2". Select color of background .